Okay, I understand, a cow doesn’t seem so exciting as a picture for my monthly photo challenge. But this one has a really speacial place to graze. 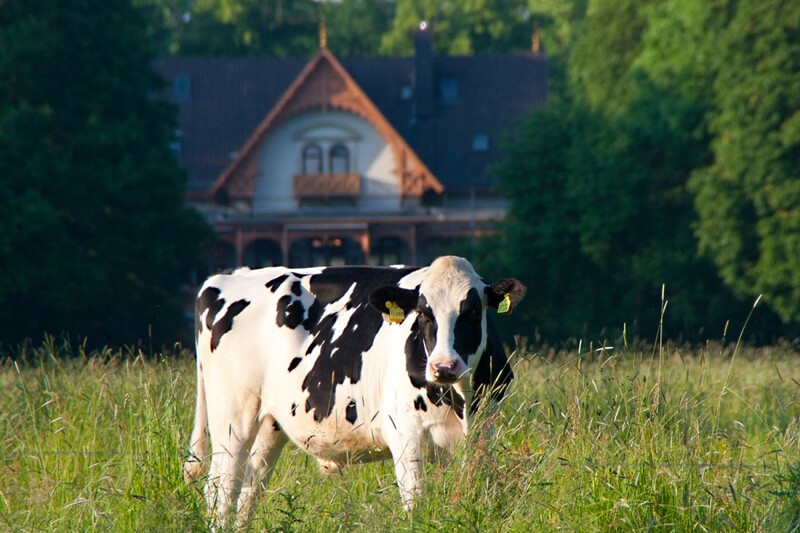 This cow has its land together with some other cows in the city of Bremen. Bremen is a really green city even though it has an urban flair. The Bürgerpark is the largest park of Bremen. 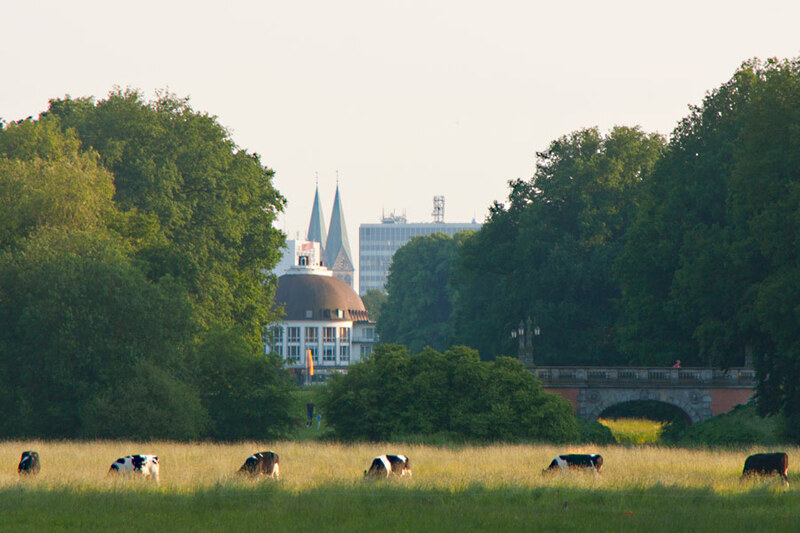 And well, here you can find cows and some other animals in a small zoo looking at the Bremen cathedral. If you now fancy a glass of milk then have a look at Meierei a really nice looking and friendly restaurant in the park.